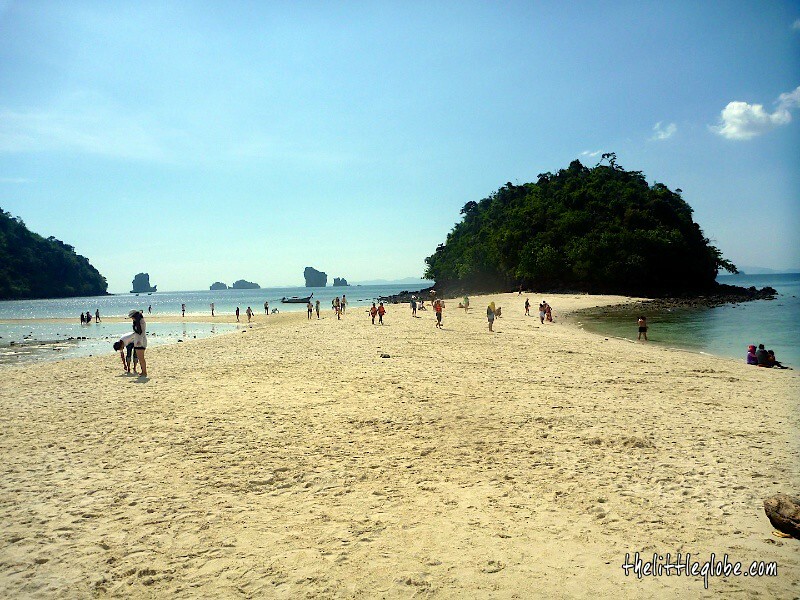 Krabi is very much different from Phuket as there are way less tourists in Krabi. 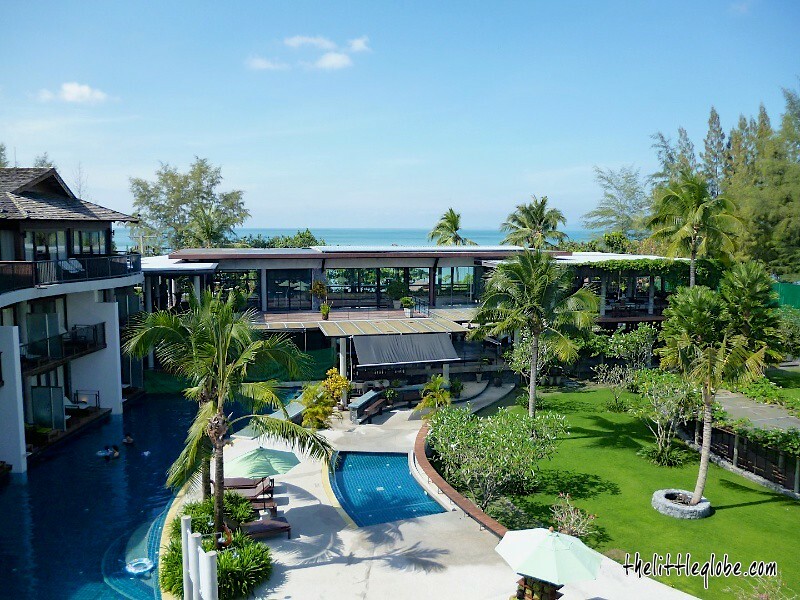 It is evident from the moment you and your love one land at the Krabi International airport to the town. Much quieter with a lot less activities as well. 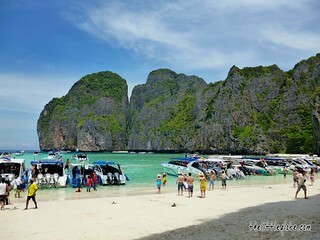 Island tours are the same and you pretty much visit the same islands as Phuket. 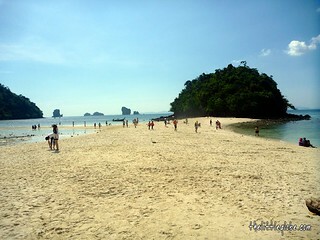 In fact, most are nearer to Krabi than Phuket. 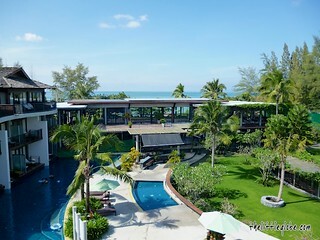 Most would stay within the vast collection of accommodations located within Ao Nang and Phra Nang beach area of Krabi. Hotel prices are generally cheaper than Phuket as well. Within the mainland, there are many beautiful beaches one can go to for sun tanning and just chill. 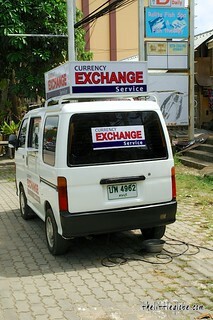 Island trips are popular and there are many tour offices where one can negotiate a good deal from. 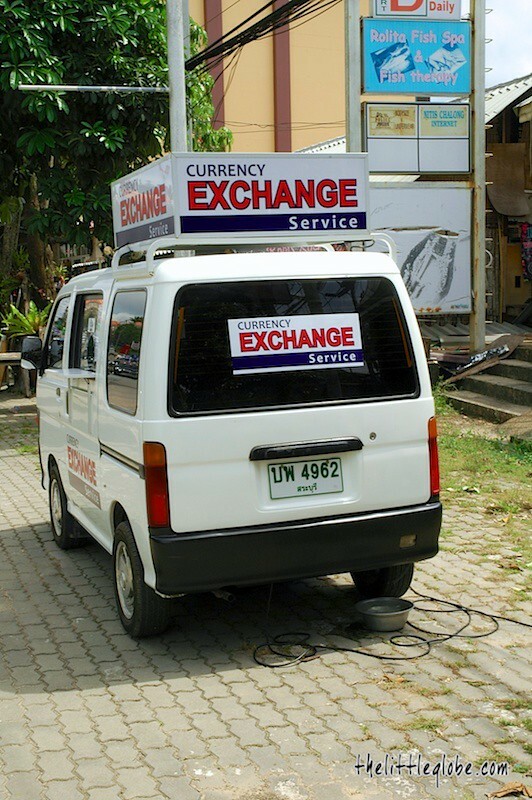 Get a few quotes before deciding and typically in Thailand, most things you can bargain for. You can opt for group tours with fix itinerary or private long tail boats, which would costs more but if you have a group of your own, private may be good flexibility. Snorkeling are main activities here. 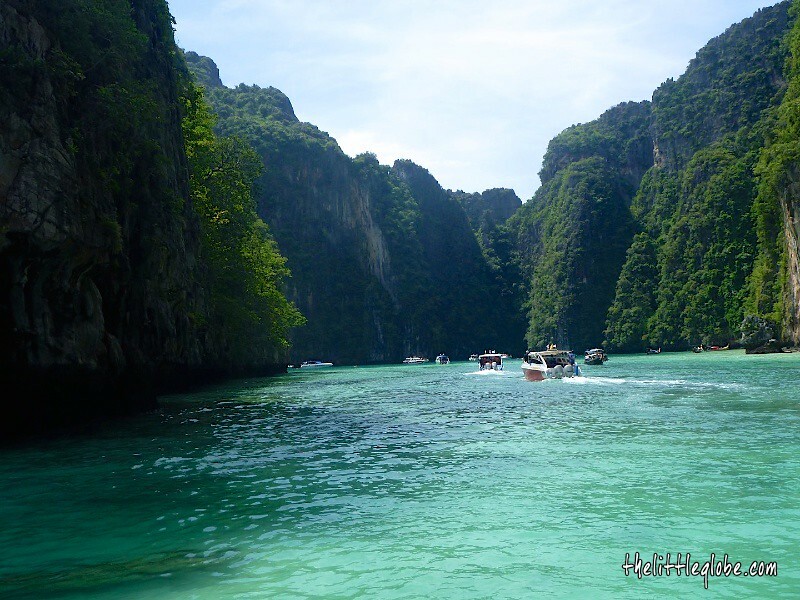 Must see limestone islands are Phi Phi Islands (Koh Phi Phi which consist of Phi Phi Le and Phi Phi Don) where you can actually stay there if you want. Beautiful white sandy beaches including the one where the filming of Leonardo DiCaprio's "The Beach" and crystal clear waters further make-up the snorkeling experience and swimming with the fishes. Phi Phi Le is well known as the James Bond 007 island where a part of the movie “The Man with the Golden Gun” was shot at. Another island to visit is Tup Island where during the low tide, the sand connects 3 islands together where you can walk to. 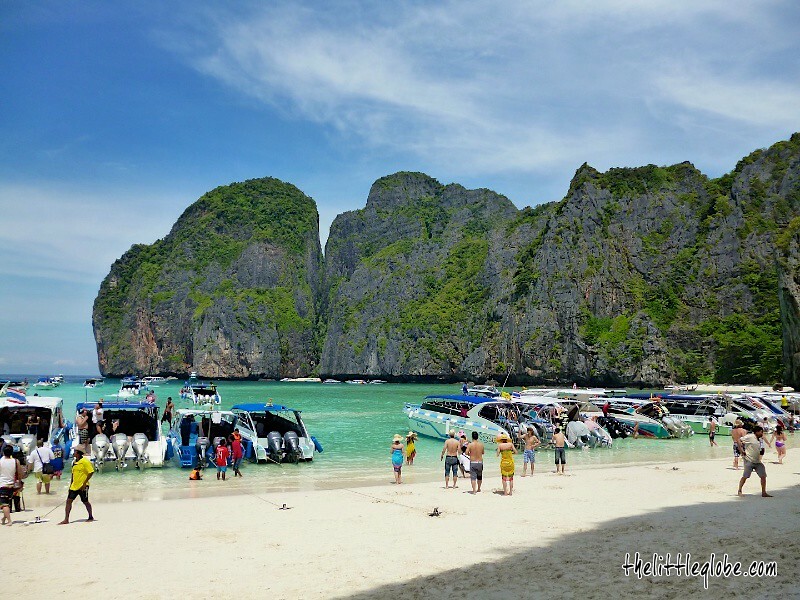 This is part of the 4 Island Tour group tour (including to the Chicken Island (Koh Kai), Poda Island and Railay Beach) but I would recommend a private long tail boat tour for this so you can decide how long you want to stay at the beach. 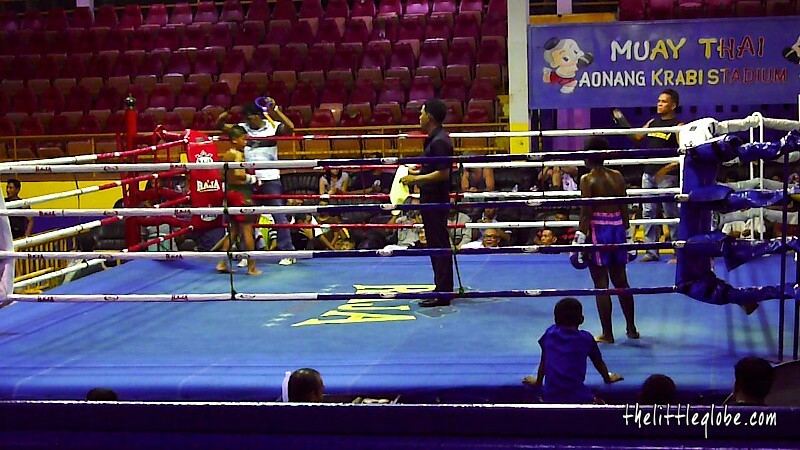 During the night, besides street shopping and eating the wealth of seafood (try smaller restaurants rather than the big fancy ones for good tasting local food and decent prices), one can go for the famous Kick Boxing (Muay Thai) matches in the Ao Nang Krabi Thai Boxing Stadium. A stadium within the Ao Nang area, there are plenty of beers for purchase. 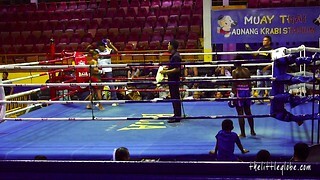 Do bring a portable fan during warmer days and be prepared to even see young kids beat the living daylights out of each other! For a fairly complete Krabi tour, stay at least 4 nights and don’t forget to try the street stall’s 35 baht Banana Nutella Thai pancakes! We do too. Thank you. 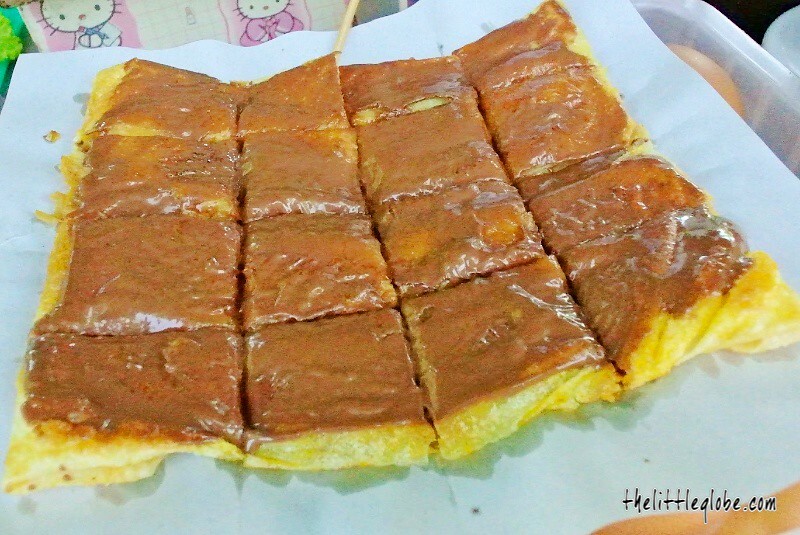 That picture of the nutella pancake is so enticing! Yummy!